So what is a bookcase armoire? Well, it's basically the combination of two similar pieces of popular furniture: the armoire, which is a tall wardrobe traditionally meant for holding clothes, and a bookcase, which has shelves and is usually used to store and display books and other objects. Armoires and bookcases have both been popular for hundreds of years and they are available in antique and new varieties. Armoire is a French word that means wardrobe, or a place to store clothes. They are incredibly useful and have been used in homes for hundreds of years. They are often used in places where there are no closets, or in areas where more storage is needed. Armoires often have a bar that runs lengthwise across the top. They are used to hang dresses, suits, and long coats. Sometimes they have a series of shelves, and occasionally they have a combination of both. They frequently have one or two opaque doors (solid wood or sometimes fabric) and are fairly tall (to accommodate hanging clothes and coats). More often than not you'll see them in solid wood varieties. Sometimes they are elaborately carved and decorated, and sometimes they are very plain. Bookcases differ from armoires in that they are usually open (no doors). They are made up of a series of shelves and are meant to display books and other items. Because there are no doors, the items they store can be easily accessed. Bookcases are very useful pieces of furniture and like armoires, have been popular for centuries. 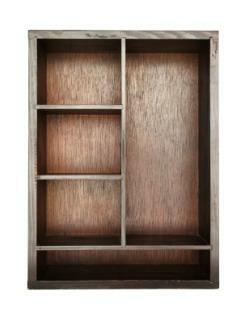 Bookcases come in many different materials; wood, glass, and metal are all popular. Because bookcases and armoires are so similar, it's easy to convert one into the other. A bookcase can be turned into an armoire by adding solid doors. Some will be easier to convert than others depending on the material and construction. It's probably best to consult a furniture maker before making any decisions. Turning an armoire into a bookcase is also fairly easy because it can be done by removing the doors and adding interior shelves. When people use the term "bookcase armoire" they generally mean a large closed unit with shelves inside. They are very useful and versatile pieces. They're great when you want a storage unit for items other than clothes that you can open and close as you desire. Often they are used as entertainment centers and hold televisions, home video systems, and stereo equipment. Some new versions even have holes in the back to easily organize and hide electrical wires. Occasionally you'll see a piece that is a combination of the two items. A bookcase armoire can be made by attaching two bookcases in a way so that it can be opened or closed. A great example of this (and a DIY project to boot!) comes from Martha Stewart. With this version you can use adjustable shelves to customize the interior. You can also install a rod for hanging clothes if you so desire. It can even be turned into a desk. Bookcase armoires can be found at all sorts of furniture stores. Ikea, Ethan Allen, Thomasville, and other similar stores always have a few available. You can also have a look in antique stores. While pricey, antique bookcase armoires are often exquisite. While it may not be the quickest or easiest project, you can also try to build your own. Make an armoire, a bookcase, or your own version similar to Martha's. Whatever you decide, you're sure to find that a bookcase armoire is a versatile and useful piece of furniture that you'll be able to use for years.